The Terrell Photo Walk Flickr page is 181 images and growing. If you took part in the walk, make sure you upload your photos to the Flickr page and your favorite photo to the Worldwide Photowalk web page. 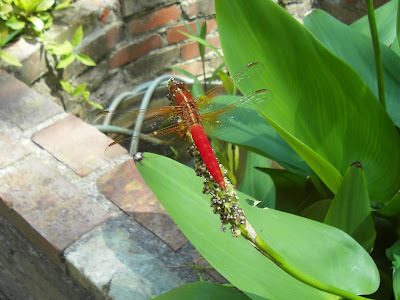 I love all of the photos uploaded so far, there are even a few of this dragonfly that look much better than my shot.